Enjoy affordable rates in a convenient location when choosing the Econo Lodge University in Gainesville, FL. Our pet-friendly hotel is ideally located off of Interstate 75 near many points of interest, which include: University of Florida Gainesville Regional Airport, Gainesville Raceway, Historic Micanopy, and the Florida Museum of Natural History. Get refreshed in our inviting guest rooms, all of which feature refrigerators and microwaves along with expanded cable television channels and coffee makers. Additional amenities include: Free wireless high-speed Internet access Free continental breakfast Free coffee Take care of basic business needs with access to copy and fax services, and for added convenience, free parking is available onsite. This Econo Lodge hotel cares about the environment and has taken active steps to support green. 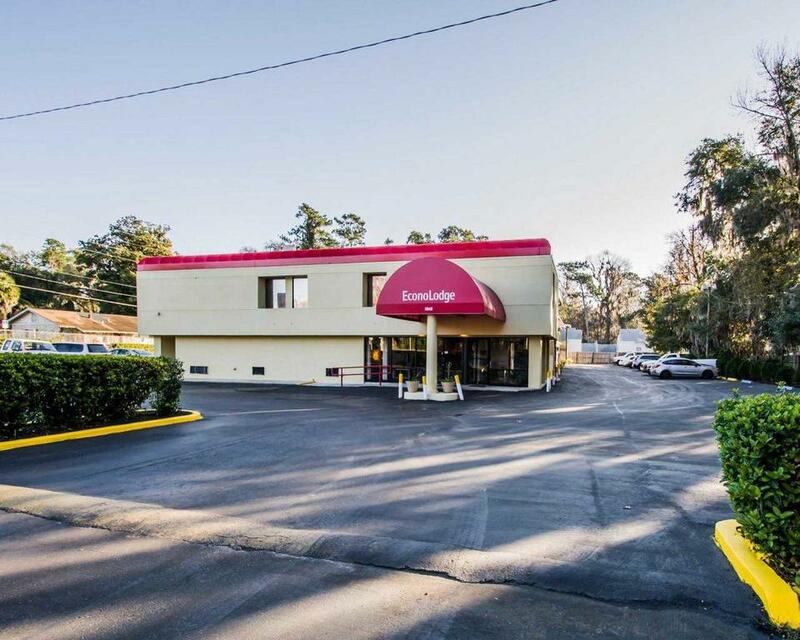 Make your reservation today at the Econo Lodge University in Gainesville, FL for a memorable stay in a great location, all at an affordable price.